Play the award-winning family trivia game with a hilariously witty twist and find out how much you remember from school. Wise Alec cards get everyone going with tongue twisters, brain teasers, activities that promote good manners and get your heart going. There are over 1000 questions from elementary school curricula in History, Science, and Spelling. Challenge yourself to either easy or hard questions. There are ways to level the playing field so that young and old can play together. Wise Alec is filled with challenging questions for the young and old. If you remembered everything you learned in grade school, you could have a shot at the title. With over 1,000 questions covering History, Science and Spelling, this game is guaranteed to entertain time and time again. You choose the difficulty of your question depending on your knowledge of the subject. Pick up a Wise Alec card and prepare to be surprised. Includes playing board, six playing pieces, three decks of playing cards, two dice and rule book. I love trivia games, they are just so challenging and they keep my brain sharp. I have always been a person that is chock full of information that always comes in handy when playing trivial games. My daughter seems to be taking after her mother with her love of trivia games. Wise Alec is a trivia game, but a much more fun and interactive trivia game. 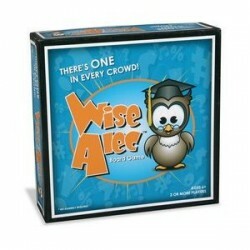 Wise Alec is fun family trivia game for 2 or more players, and is for ages 8 and up. We were able to play this game at my daughters 8th birthday party. Since the kids were all 7-8 years old we played a bit different we split into teams and answered the questions as the team. The game comes with 6 different color game pieces but we had more people playing by making teams. With Smart Alec game, there is no end technically , you have to play as long as you like. Whatever you want, we wanted to stop the game after 30 minutes but we ended up playing for well over an hour we were having that much fun! If you land on a Wise Alec space, you might have to , answer a brain teaser, or say a tongue twister then you win or lose points, or do something silly. It is lots of fun. There are easy and hard questions so that all ages can play together. The first player to reach a specific point wins. The questions are based on elementary school curriculum, it can still be challenging! I am amazed at how many things I have forgotten that I learned in school, I have to brush up on some facts that is for sure! 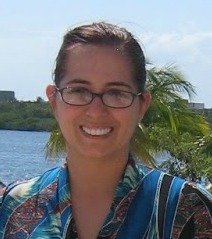 The player with the most points win, and my husband will be the first to say that his team won! He loved the game as much as the kids did. This game is usually for 2 or more players, so I can see myself and my daughter playing this game a lot, it’s funny and educational. What more could you want from a great game. We were also able to check out the Wise Alec Junior ages 4+. My daughter is 8 years old now and still loved playing this with her little 4 year old cousin. This game was a more simple version with cards, my niece got a kick out of the game, and I just may have to pick her up a copy for Christmas. So if you are looking for a fun game for kids 8 and up I would highly recommend Wise Alec, and for the younger set Wise Alec Junior is a great option. 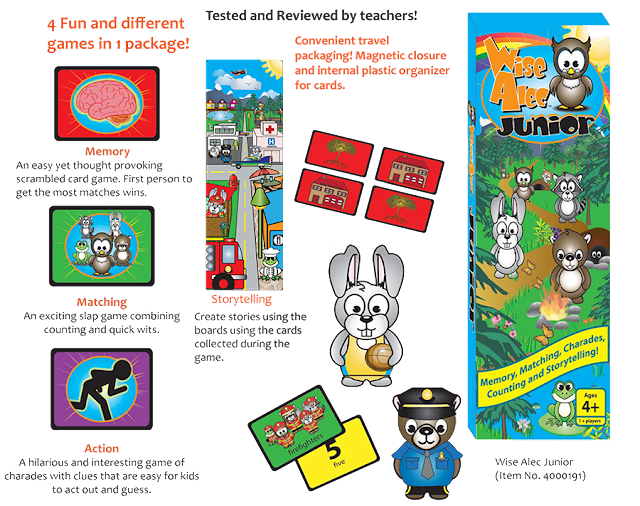 These are games that the whole family can get in on the fun, or the kids can play together either way the games are great. If you are still looking for a gift for that special someone on your holiday list this year, make sure to pick up a Wise Alec game or two, that special someone will just love this game. The generous folks at Griddly Games are giving one of Susan’s Disney Family readers a chance to win a Wise Alec game! Would you like to win? Well visit the Griddly Games site and take a look around then come back here and let me know the name of a game you would love to play. There are also other ways to enter, please enter below. I would like to get my daughter Griddly Game's Oversight game. I like the Oversight: Abstract Strategy Game. Words of the Wise also sounds interesting. I hadn't heard of this brand before.